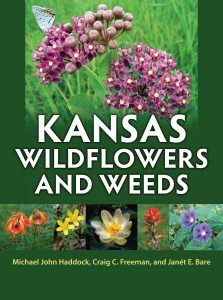 Kansas Notable Books is a project of the Kansas Center for the Book, a program of the State Library and has selected Kansas Wildflowers and Weeds by Michael John Haddock, Craig C. Freeman, and Janét E. Bare as an outstanding book either written by Kansas or about a Kansas related topic. Michael John Haddock is Assistant Dean, Research, Education, and Engagement Division, K-State Libraries, Kansas State University. Craig C. Freeman is Senior Curator, R. L. McGregor Herbarium, University of Kansas. 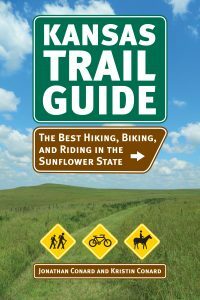 Janét E. Bare is the author of the original Wildflowers and Weeds of Kansas (1979). The (fiscal) year draws to a close on June 30. Is there a better way to celebrate the end of a year than with new books? We think not. In that spirit, we are offering a special year end sale. Use promo code ENDF16 to receive a 25% discount and free shipping on all website orders placed through June 30, 2016. 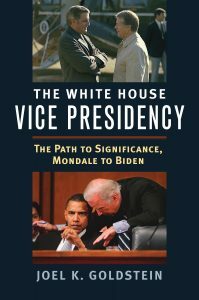 Do you want to increase your understanding of past presidential elections as we prepare for a new election this November? 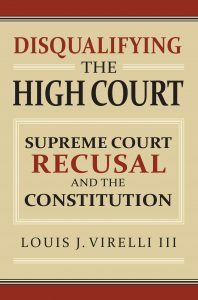 Interested in landmark Supreme Court decisions? Are there some military history books that you’ve had your eye on? Or maybe you’d like to catch up on some of our regional or environmental history books. We have books available for all of these interests and more. Wake the kids. Tell your neighbors. There’s a sale going on that you won’t want to miss. 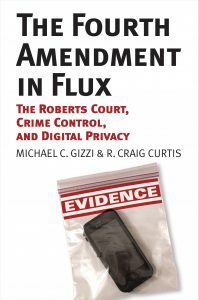 Minimum order: 1 book. Maximum order: as many books as you choose to put in your shopping cart. Don’t forget to include the discount code ENDF16 to receive your 25% discount. On 11 June 1937, a Soviet military court sentenced a group of some of the most senior officers in the Red Army to execution. Accused of working for Nazi Germany and coordinating a so-called ‘military-fascist plot’, the group were charged with sabotage, espionage, and planning to overthrow the Stalinist regime. The sentences – carried out just hours later – marked the point when Stalin’s military purge burst into the open and sparked nothing short of international scandal. Iosif Stalin was decapitating his military at the very moment that Europe was bracing itself for total war. Marshal Mikhail Tukhachevskii, the Red Army’s most creative thinker and strategist, was the most prominent victim of the military purge in 1937, but the net was cast much wider. Over the next two years over 30,000 army leaders were discharged from the ranks; thousands were arrested and executions were widespread. The violence began to subside in late 1938 and reinstatements to the ranks became more common in 1939, but the military purge remained a highly destabilizing and damaging attack on the Red Army. It was a central moment in the broader Great Terror that gripped the Soviet Union in the mid-to-late 1930s. Moreover, the purge was a key moment in the years leading up the outbreak of the Second World War. Stalin’s attack on his army in 1937 made him seem unpredictable and unreliable; an alliance with the British and French governments against Nazi Germany was now increasingly unlikely. There was of course no truth in the charges against the Tukhachevskii group: there was no ‘military-fascist plot’ or genuine conspiracy in the Red Army. Confessions were coerced from the arrested men, often using violence. However, why Stalin lashed out at his army at the same time that the Soviet Union was gearing up for war, as military spending was rising at break-neck pace, has long been without an adequate explanation The most common argument (dominant from the Cold War) points to Stalin’s desire for total power. 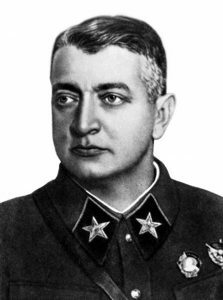 In short, ambitious and popular officers like Tukhachevskii had to be killed for Stalin to rest easy about the security of his dictatorship. But this does not explain why the military purge spread so quickly beyond Tukhachevskii and the group of officers put on trial in June. Why were tens of thousands of army leaders subsequently drawn into a mass purge? If Stalin was primarily concerned about preserving his position as dictator, smashing the Red Army in such a dramatic (and ultimately uncontrollable) fashion was a very risky way of consolidating power, especially when world war was on the horizon. Launching the military purge was a big risk and one that put the security of the Soviet Union under threat. If anything, the purge put Stalin’s own position in danger. A second – and related – explanation for the military purge points to Stalin’s paranoia: Stalin saw ‘enemies’ everywhere and the Red Army was no exception. 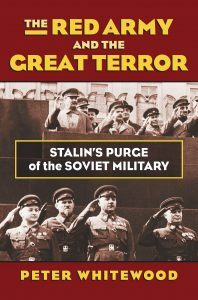 In this way, the military purge was not a targeted removal of potential challengers to Stalin’s power, but instead a manifestation of the dictator’s worldview and his tendency to lash out at imaginary ‘enemies’. However, it is impossible to know if Stalin did genuinely suffer from paranoia, and even so, this is too much of a blanket explanation for Stalinist political violence. It leaves unanswered why the Stalinist regime deployed violence when it did; why this violence took on different forms (targeted arrests or collective punishment); it says nothing about the thousands of other perpetrators, collaborators and other unwilling participants working for the Stalinist regime. And even if we accept that Stalin was paranoid – or at the very least highly suspicious – we need to understand where his suspicions about the Red Army stemmed from specifically. How and why did Stalin come to believe that dangerous ‘enemies’ were at the heart of the Red Army establishment in 1937? Former imperial officers from the disbanded Tsarist army. Such officers enlisted in the Red Army during the Russian Civil War and 1920s and brought with them valuable expertise. They were, however, viewed as the enemy within. Former White officers who had fought against the Bolsheviks during the Civil War similarly enlisted in the Red Army and were regarded with even more suspicion. ‘Foreign agents’ were a constant security anxiety for the Bolsheviks throughout the 1920s and 1930s. Whether British, Polish, Japanese or German, the Bolsheviks saw their army as a prime target for hostile foreign governments. Leon Trotsky’s opposition platform was quickly identified as a dangerous internal threat to Red Army stability in the mid-1920s and beyond. Peasant soldiers formed the bulk of the Red Army, but their reliability was always in doubt. During the collectivization drive of the late 1920s and early 1930s, the loyalty of peasant soldiers seriously wavered as the regime dispossessed peasant families of their belongings and forced farmers into collective units. Stalin’s ‘Revolution from above’ threw the fragility of the Red Army into sharp relief. Rumors of betrayal and conspiracy constantly surrounded the Soviet high command, inside and outside the Soviet Union throughout the entire interwar period. Tukhachevskii in particular was regularly portrayed as a potential ‘Soviet Bonaparte’ and challenger to Stalin. These rumors never dissipated. In all, over the twenty-year period before the military purge of 1937, there was never a moment that the Bolsheviks believed their army was reliable or secure. When the Great Terror erupted in 1936, the growing wave of political violence and intense pressures placed on state and society brought long-standing security anxieties surrounding the Red Army to a head. The ‘military-fascist plot’ seemed entirely credible to the Stalinist regime in 1937. The military purge was the result of long-standing security anxieties about the Red Army that stretched back to 1917; when these became intertwined with the explosion of political violence during the Great Terror, the Soviet high command was left fatally exposed. As the great sociologist, C. Wright Mills argued, personal problems are public issues, and none more so than bullying. 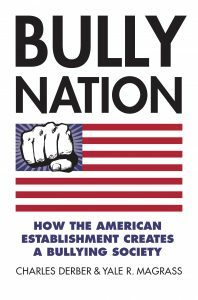 This is precisely the problem Charles Derber and Yale Magrass address in their just released book Bully Nation. In their video seminar they discuss how bullying infiltrates corporations, the state, foreign policy, the natural environment, race relations, families, schools, sports and entertainment. Thus, bullying cannot be addressed without looking at the bullying institutions which dominate the larger society and politics.